WCEC High School teachers and students (and REACH staff) after service project on MLK day. 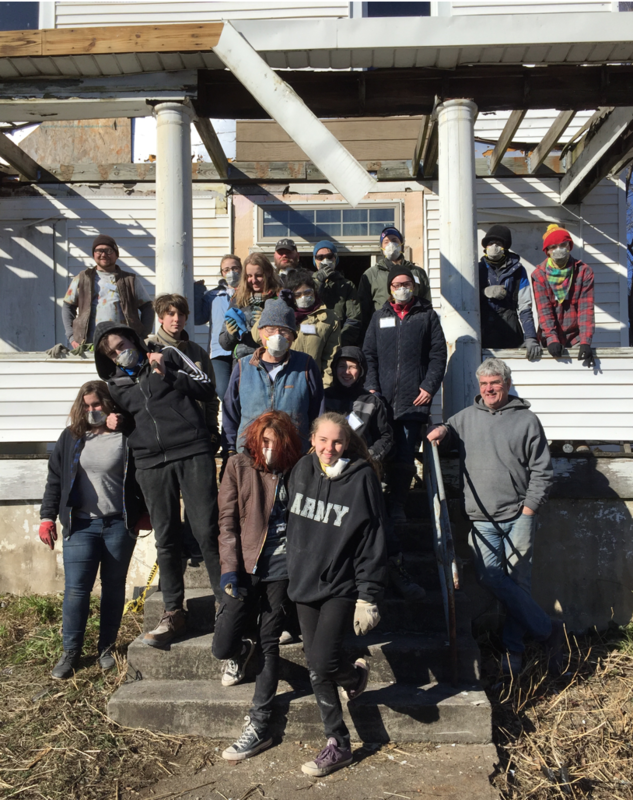 Students in sixth through twelfth grade at World Community Education Center (WCEC) celebrated Martin Luther King Day in service, working with REACH in Roanoke, Va. REACH provides a hands-on opportunity for groups to engage in service in the community. 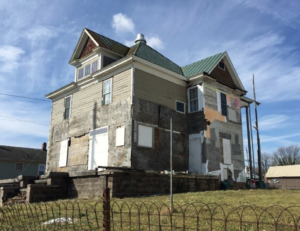 One of REACH’s primary initiatives is the Southeast Neighborhood Revitalization Project. Abandoned homes are purchased (usually directly from the city), then renovated completely by volunteers and through partnerships with businesses willing to donate time or materials. 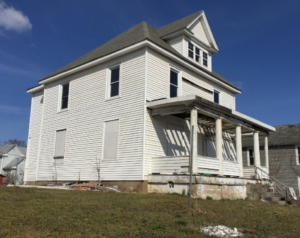 The houses are then sold to a family with strong ties to the community in the hopes that their home, and their changed lives, will create a ripple effect through the community. Both of these homes are in the first stages of remodeling, WCEC students had a fantastic time doing demolition-knocking plaster off of walls and ceilings, removing old beams, and clearing out debris.